Toyota has ended 54 years of car making in Australia as workers at the company’s Altona manufacturing plant clocked off for the last time on Tuesday. The closure, which comes one year after Ford pulled the plug on its manufacturing operations in the country, leaves some 2,600 Toyota employees jobless, with thousands of supply chain workers expected to lose their jobs as well. 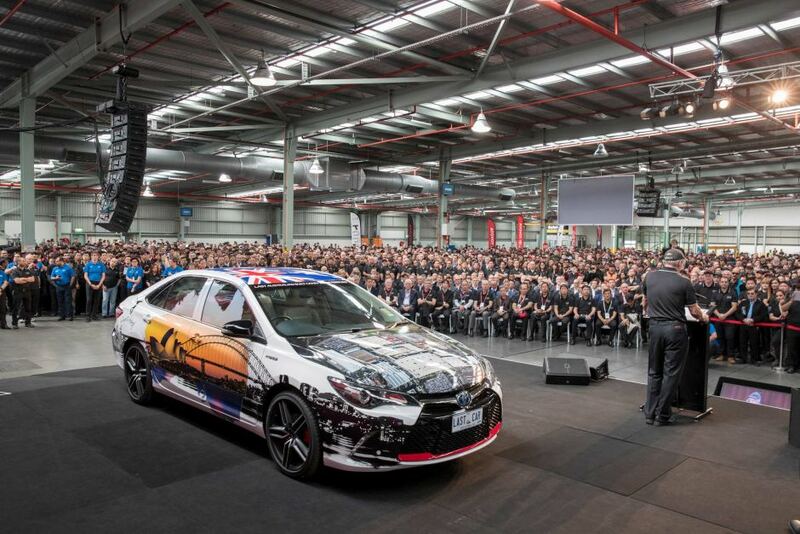 Toyota Australia President Dave Buttner paid tribute to employees past and present for their ongoing commitment, saying the company would help them find employment elsewhere. “When we launched the DRIVE program in 2014, its purpose was to ensure you are all in the best possible position to find a new job in the future,” Mr Buttner said. He said Toyota would maintain ‘a sizeable presence in Australia’, with the Altona plant to house a new ‘Centre for Excellence’, as well as a training centre. “The Centre of Excellence will include a world-class training facility and other commercial initiatives that will enhance the company’s business and the community,” Mr Buttner stated. Victorian Industry and Employment Minister Wade Noonan described Toyota’s exit as ‘the end of an era’. “This is a sad time for thousands of Victorians – many of whom have spent most of their working lives building iconic vehicles for Australian roads,” Mr Noonan said.